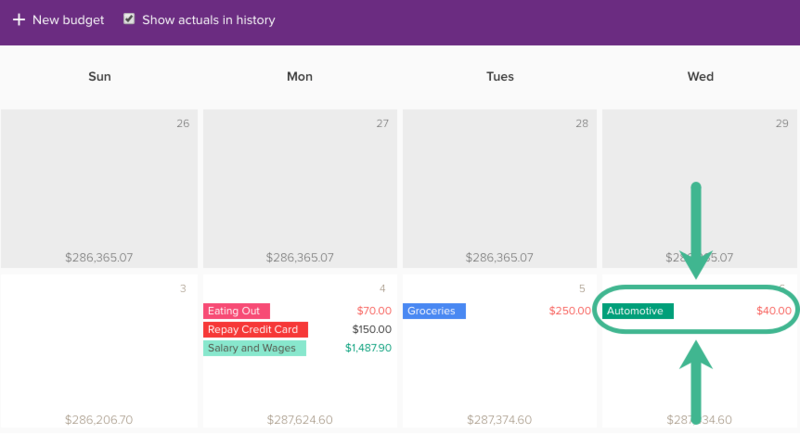 Create budgets for all of your categories to help plan for your future as well as track historical income and expenses. Use your budgets in PocketSmith to help stay on track with your earning and spending. PocketSmith will also show how many transactions have been assigned to a category for that period. In the example above, the Automotive category has 1 transaction assigned to it. The budget form will open where you will be able to set up your budget. By default, when starting a new budget from the Budget page, the start date will be the first day of the budget period determined by PocketSmith based on the frequency and nature of transactions assigned to that category. You can always change this - check out the ADVANCED SETTINGS described below! What is this budget for? 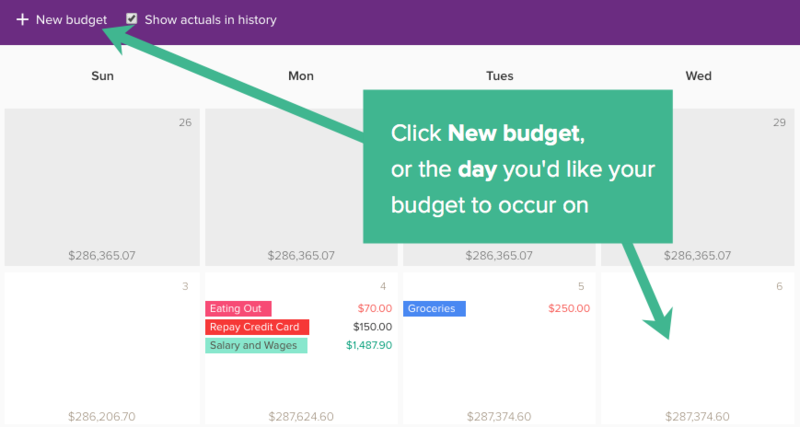 This will already display the category you chose to create a budget for, or you can change the category here. Are you budgeting for a repeating expense or income? Select Yes if so, and choose a repeating period. Learn more here: Repeating budgets and how to make changes to them. Here you can add an amount for your budget and select whether this is an expense or an income budget. We recommend setting round numbers for budgets that vary (e.g. Groceries) and exact amounts for ones that don't (e.g. Insurance or Salary). Which account's forecast is this budget for? Select which account you would like this budget to forecast against. This means that on the calendar, you can select this account and see how the budget affects this particular account's balance. By default, when starting a new budget from the Budget page, the start date will be the first day of the budget period determined by PocketSmith based on the frequency and nature of transactions assigned to that category. You can change the start date here, and choose whether you'd like to apply an end date for this budget. Type in any extra details you want to add to this budget. When creating a new budget from the + New budget option, the start date will be for today's date. When creating a new budget from a specific date on the Calendar, the start date will reflect the date you selected. You can change the start date here, and choose whether you'd like to apply an end date for this budget. 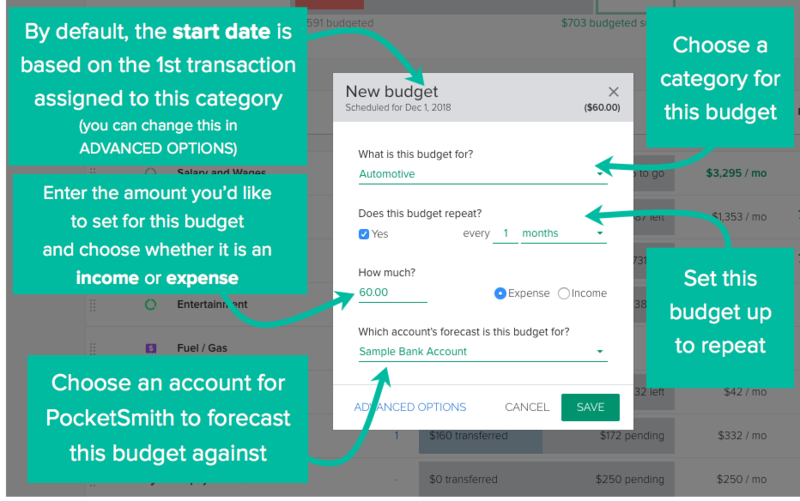 If the checkbox Show actuals in history is ticked, then you won't see any past budgets on your calendar instead, your actual transactions will be displayed. To see past budgets, un-tick Show actuals in history. You can click on any budget event on the calendar to edit that budget. Every budget you create will be applied to your forecast (such as the forecast graph at the top of the Calendar page). 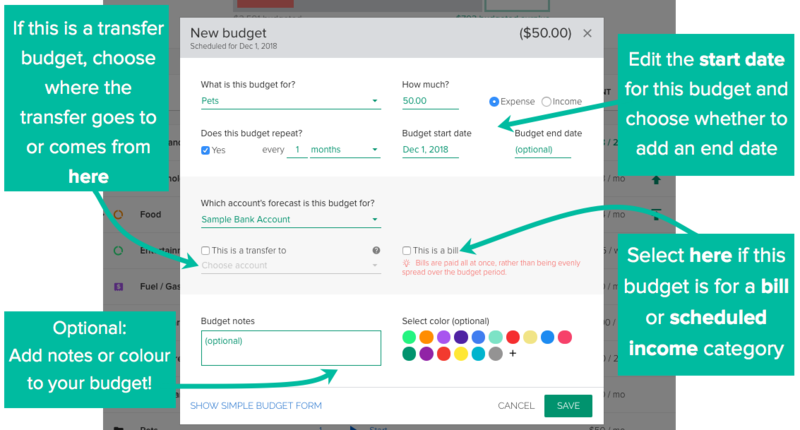 The more budgets you add so that it will match your actual earning and spending, the more accurate your forecasted balances will be and you'll be able to see how your finances look projected into the future! Got any more questions? Check out our Budget Quick Answers!